Dawn after a late night gig. Slim had been looking for something. On the high end of Rue des Martyrs he stopped for café au lait and watched October plane trees dropping big mapley leaves. A month earlier, he'd packed his stuff for France. Paris was a better place for African Americans in those days. Josephine Baker sent a spray of roses; James Baldwin helped him find a good apartment. From 1962 on, Slim gigged regularly, took minor roles in the movies - the wise American jazzman real deal jumpin' jive from Chicago, "Every Day I Get the Blues," and every day he became more and more Parisian. Time to time the French Cultural Attaché toured him out as if to say, "lookie here America, you don't know how to treat folks; France do; we thumb our nose," of course forgetting Algiers and Dien Bien Phu. In 1977 Slim played the Université Nationale du Rwanda on joint sponsorship from the French, his new home and the Americans, his old. He played stride style piano, played like a house afire, played with French pick up boys and Matt "Guitar" Murphy straight out of Chicago. Afterwards, the Franco Americans threw a reception at the Maison d'Accueil. Some of the English students, Jean Bosco, Honoré, Seraphina Anais, attended and certainly members of the Faculté Français (of which English was a part). While the French congratulated themselves on superior culture, Slim sat on a low coach sipping whiskey straight. I parked beside him. I was one of the Peace Corps English professors. I appreciated his work, had seen a few blues men out of Chicago. Iowa City wasn't far. I told him my girl had run away with another man and left me blue blue blue myself, and Slim said his gal had run off too but worse because he'd be damned if she didn't come back, true story. And he began laughing. I guessed I was a fool alright and laughed too. About that time Seraphina Anais passed slowly, a tall shapely girl flashing a beautiful mysterious smile. Slim asked, what about these gals here, these African gals? Oh no, I told him, these were good Catholic girls, and you'd probably need to marry one to get far. He looked down into his lap and thought a minute and finally looked up and asked what it would take, what a marrying would take? And I said I supposed you'd have to pay a bride's price, cattle. Slim sipped his whiskey and glanced at Seraphina Anais and ran his free hand over that stripe of white hair on the front of his head. Where you get them cows anyway? Love it and the attitude. "*"
*, Steve. I am taken with your Rwanda Suite stories as you know and I hope one day you'll publish them as a collection. Oops. I left an "n" off. Sorry. Sweet Suite. I agree with David. Hope to see these as a collection some day. "damned if she didn't come back"
This is excellent. I love this kind of history hybrid fiction. Love it. I savor every one of these fine stories. II do. But this one? Best story I read in many weeks, many, many weeks. Damn this is good, Steven. The rhythm, the voices, the names, the history... damn, it's such a complete package. Killer! "Where you get them cows?" This has to be true, but whether or not, it's perfectly told. This is FINE. 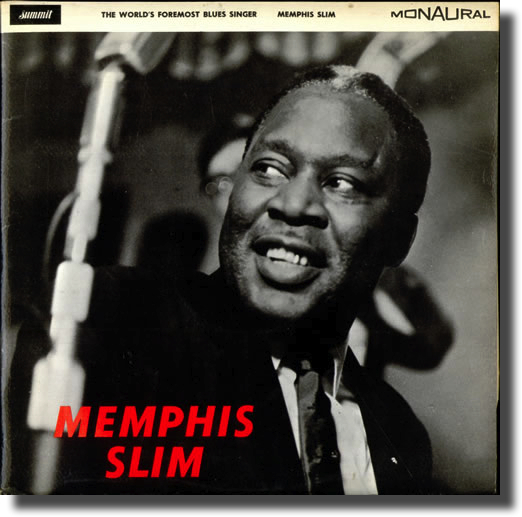 Listening to Memphis Slim and reading about him here. "I told him my girl had run away with another man and left me blue blue blue myself, and Slim said his gal run off too but worse because he'd be damned if she didn't come back, true story. And he began laughing. I guessed I was a fool alright and laughed too." ""I told him my girl had run away with another man and left me blue blue blue myself, and Slim said his gal run off too but worse because he'd be damned if she didn't come back..."